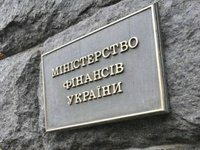 The English Court of Appeals in its judgement regarding the dispute between Ukraine and Russia over the $3 billion bonds has admitted that Russia "presses the court to determine the contract claim…without Ukraine being able to defend itself by raising its defence of duress at trial," Ukraine's Finance Ministry has reported. "As the Court of Appeal held in its judgment, such a course, which Russia chose, has been held by the Court to be contrary to "basic justice" and "unjust," the ministry said in a press release on Friday, September 14. Among the reasons cited by the Court for rejecting Judge Blair's belief that he could not hear Ukraine's defence of duress is that "no country should be able to take advantage of its own violation" of international law, the ministry said. In this connection the court expressly reflected in its Judgment that the government of the United Kingdom "regards the activities of Russia in seizing the Crimea and assisting military action by insurgents in Eastern Ukraine against the Ukrainian government as being in clear violation of Russia's obligations under international law, including in particular its obligations under the norm of ius cogens reflected in Article 2(4) of the UN Charter."